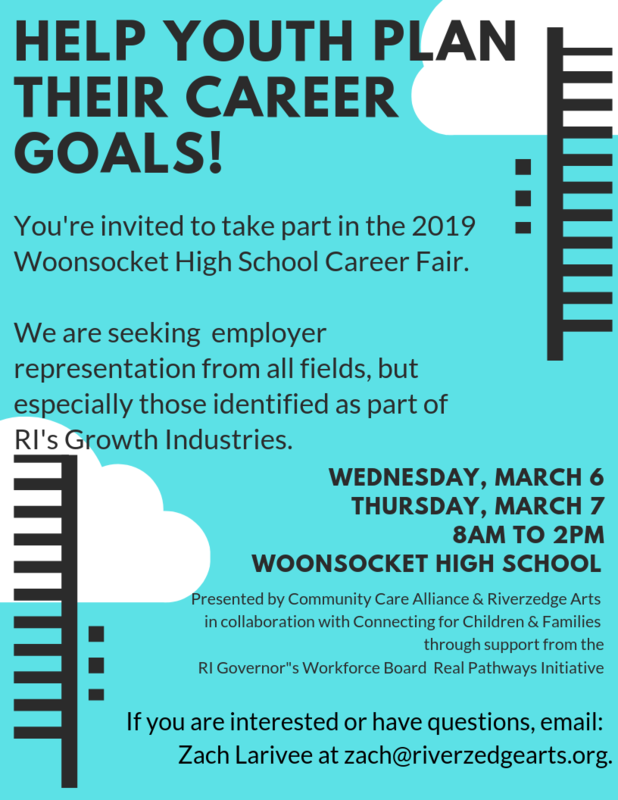 You’re invited to take part in the 2019 Woonsocket High School Career Fair! Please register for one or both days: March 6 and March 7, 2019. This event is presented by Community Care Alliance and Riverzedge Arts, in collaboration with Connecting for Children & Families, through support from the RI Governor’s Workforce Board Real Pathways Initiative. If you have questions, email Zach Larivee at zach@riverzedgearts.org.